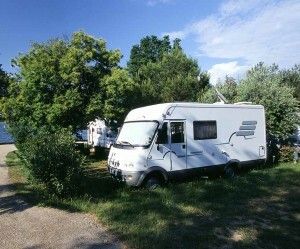 Naturist Camp Solaris Tar/Porec*** is situated on the Laterna peninsula 13 km north of Porec. 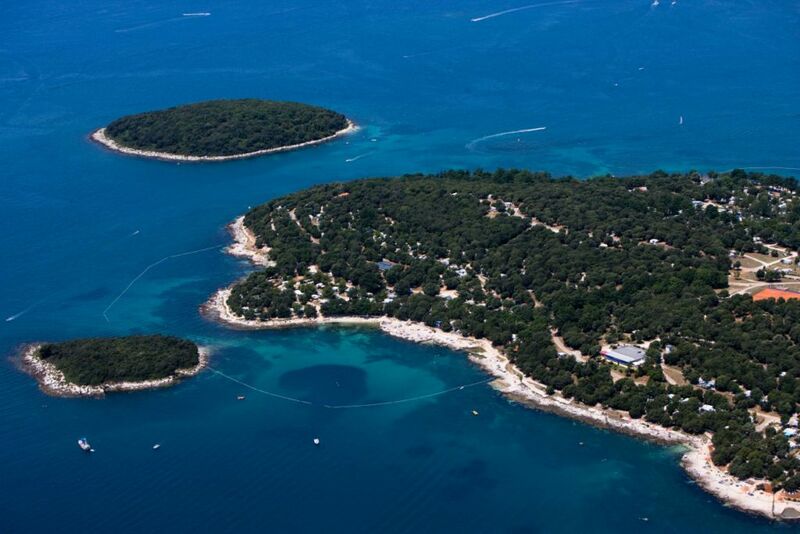 The camp which has a capacity of close to 4.000 naturist campers, is one of the most popular nudist camps at the Adriatic, which is no wonder, considering the wide range of facilities, and the beautiful untouched nature which surrounds the campsite. Main part of the campsite is covered with Mediterranean vegetation, which provided plenty of shadow on the pitches, the campsite offer 4 different types of Pitches, as well as mobile homes for rent. The 11 sanitary buildings at the campsite are evenly distributed on the premises, the sanitary facilities include, hot water showers, private showers, baby changing area, special shower and toilet facilities for the disabled, laundry room and equipment/area for ironing, shower area for dogs, and of course facilities for washing dishes. Fridge boxes are available next to most of the toilet buildings. The shopping facilities at the campsite include a minimarket, newspaper stand / Kiosk, and several public payphones. The culinary offer includes a restaurant Galeb where a la carte menus are served as well as the grill Sidro. For sport enthusiast, there is a large sports centre 500 meter from the Camp, at the sport centre you can find the following facilities, large multifunctional pitch (e.g. for football, handball), 8 tennis courts, mini golf, table tennis and a riding centre, at the centre bikes for rent is also available. Water sports among others include banana boat, rent a boat, pedal boats and diving. The blue flag awarded beaches are mainly pebble and rocky, at most part of the beaches you can find natural shade, for the smaller ones there is areas with sand to play in. Pitches for beach volley ball are also available at the beaches. The Swimming pool at the camp is a fresh water pool, at the pool deckchairs and parasols are available. In the morning the pool is used for the water gymnastic. The animation and entertainment program at the camp included sports activities in the morning like e.g. aqua aerobics, aerobics, cycling tours, Nordic walking and sports tournaments. In the evening there is live music and various other activities like dance and folklore evenings. For the smaller ones there is the Mario mini club and various other activities like the mini Olympics. There are a total of 550 parcelled pitches and app. 750 unmarked plots on the campsite. Min 100 m2 with water and electricity hoop up. Distance to the centre of Porec is about 13 km, which is about 12 minutes drive. 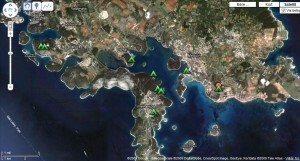 Distance to the centre of Vrsar is about 11 km, which is about 17 minutes drive.